Running has many benefits — it can help you lose weight, reduces your risk of cancer and other chronic diseases and can improve your mood1. But running also has its risks and drawbacks, like the fact that around 60 percent of runners are likely to experience an injury that will keep them from running2. One way to enjoy more of the benefits of running and fewer of the risks is to vary your exercise routine. Try adding strength training to your exercise program and you’re not only going to reduce your risk of injury, but you’re likely to see your performance improve. Strength exercises usually provide two significant benefits to runners. First, they can help improve your overall performance as an athlete. A study published in the British Journal of Sports Medicine3 found that a group of runners who followed up a running workout with strength training had the greatest improvements in aerobic capacity and performance compared to groups who only ran, only did strength workouts or followed a strength workout with running. Another benefit of strength training for runners is that it can lower the risk of injury, particularly injury to the knees. One study4 found that runners who participated in a hip and core-strengthening program had a significant improvement in knee pain. Strength exercises help to lower the risk of injury in runners by making the muscles stronger and by strengthening the connective tissues. Certain types of strength exercises are better for runners than others. It’s usually recommended that a runner who’s about to start a strength-training program consider the following three types of exercise: compound movements, bodyweight exercises and exercises that strengthen the hips. Bodyweight exercises include those that use the weight of the body to build strength, not external weights. Popular bodyweight exercises include the plank, lunges and push-ups. Bodyweight exercises can be performed anywhere, no gym needed, making them ideal for cooling down after a run. Finally, hip-strengthening exercises focus on building up the hip muscles and glutes, two muscles that play an important role in keeping runners steady. Bridges and bird dog are two examples of hip-strengthening exercises that can be ideal for runners. These exercises also happen to be bodyweight exercises and don’t require equipment. 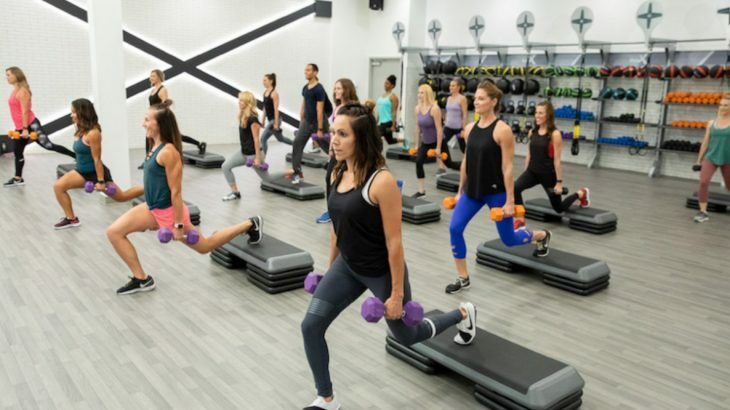 If you’re completely new to strength workouts, it can be particularly helpful to work with a trainer or to sign up for a small group fitness class. That way, you’ll have someone to guide your workouts, giving you pointers on your form and offering suggestions for various strength exercises that are best for you. Take your running to the next level with strength training, and who knows? You may even set a new personal record at your next 5K.